Breakfast is the most important meal of the day. Make sure to eat so that you can take on your exciting day of vacationing! Whether you’re going to Dollywood or exploring the Great Smoky Mountains National Park, you’ll need your energy! We can point you in the right direction of some of the top breakfast places in Pigeon Forge near our hotel. If you are looking for a fantastic and authentic Southern breakfast the Old Mill Restaurant is your place to try! Enjoy farm fresh eggs, or ham that is cooked and glazed perfectly. Instead though, you could have a plate of large fluffy pancakes or a plate of biscuits and homemade country gravy. You can also enjoy your food with extras like jams and jellies made-from-scratch. The Old Mill Restaurant keeps to a simple, but wonderfully tasting breakfast menu. Don’t let the “BBQ” part of the Bennett’s restaurant name fool you. Their breakfast is delicious and filling! It’s the best breakfast place in Pigeon Forge to come to when you want a big, tasty morning meal. They offer an all-you-can-eat breakfast. Their breakfast includes items like eggs, sausage, home fries, grits, fruit, muffins, and more! One of the stars of the breakfast buffet is the Belgian waffle bar! Bennett’s BBQ is one of the best breakfasts in town! Sawyer’s Farmhouse is a wonderful breakfast choice. The inside of the restaurant is spacious and decorated like a farmhouse. Their menu is diverse with lots of options. They offer beautiful crepes with tasty fruit toppings. 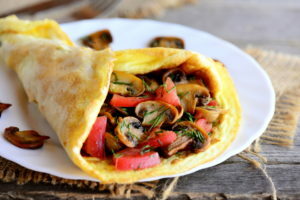 You’ll also find large omelettes that are packed full! Moreover, the omelettes even come with buttermilk pancakes, so you’ll have a great and filling meal. Sawyer’s even offers a kid’s breakfast menu, and to go incase you want to pick it up and come back to your hotel to eat in bed. Reagan’s House of Pancakes is a family owned restaurant. They offer many menu options, but their pancakes are the star! You can expect to be served fluffy, warm pancakes with various topping options and delicious syrup to put over your stack. You don’t have to order from a menu though, Reagan’s also offers a breakfast buffet if that’s more your style. On of the buffet you can find items like pancakes, biscuits, eggs made-to-order, and so much more! This little, local pancake house has a great reputation among breakfast places in Pigeon Forge. We are just a short drive from all of these fantastic breakfast places in Pigeon Forge! However, one of the best amenities we offer if you don’t feel like going out for breakfast every morning is walking right downstairs to dine with us! 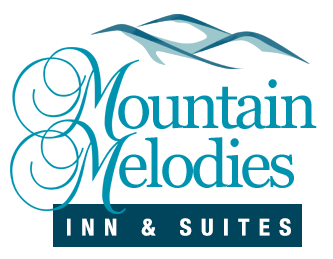 Check out the other amenities we offer at our hotel that you will love!